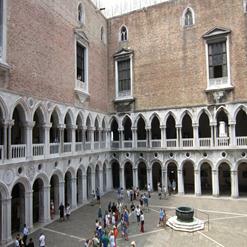 This church is possibly the oldest church in Venice built around 421. It is most recognized for its 15th century clock above the entrance of the church. It is also recognized for the red pillars and beautiful gold accents around the church itself.